A Couple of exciting things going on today! First, I am so excited to be teaming up with Elysian Boutique to style some of their amazing pieces. Like this cobalt blue striped shirt, that I have already worn 2 times since I got it 2 days ago! OOPS! I have been a fan of Elysian Boutiques for a while so I am thrilled to be working with them! You must go check out their online boutique or if you live in Arkansas go to their store!! (and I will be jealous). I know you all are going to love so many of their pieces as much as I do!! I can't wait to share more with you guys!! 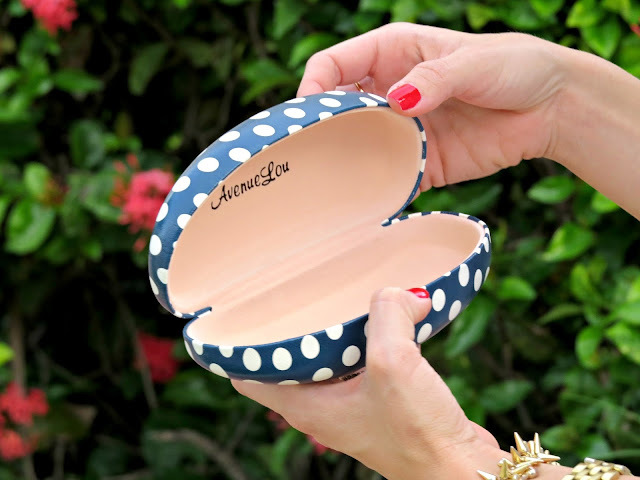 Second, scroll down to enter a fun giveaway with Avenue Lou for a chance to win possibly the cutest sunglass case ever! 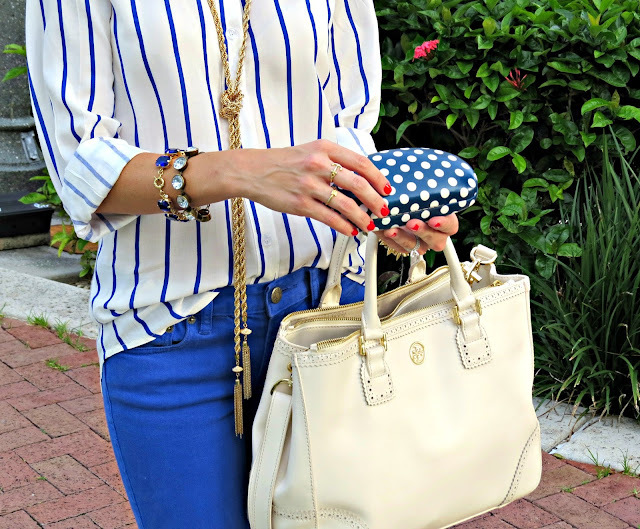 Today I am teaming up with Avenue Lou for another great giveaway! 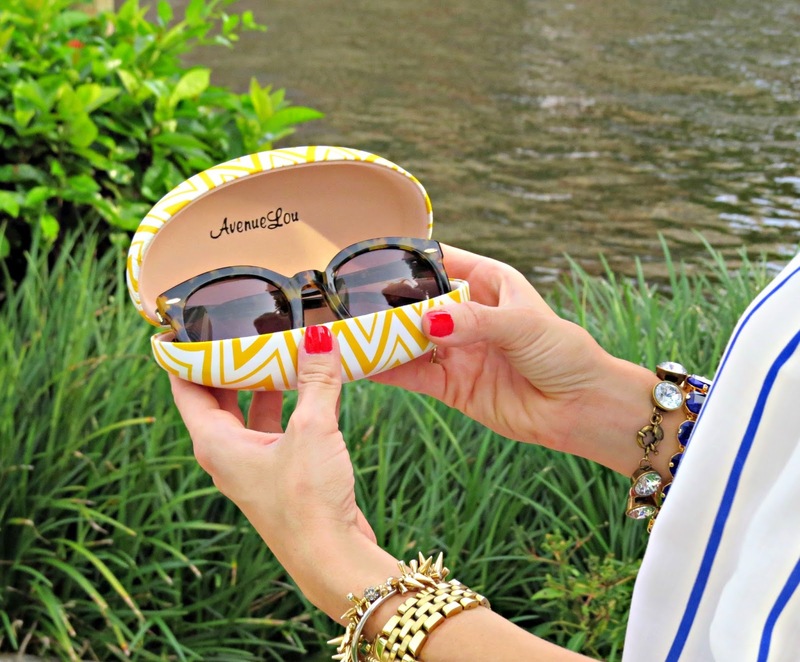 Avenue Lou has the cutest sunglass cases that come in some really fun prints and colors! I kind of have an addiction to buying sunglasses, and it is even more fun when I have a cute case to put them in. Today Avenue Lou has offered to give one lucky SOS reader a sunglass case of their choice! Make sure to complete all the entries below to be entered! Good Luck!! You look so cute!! I love the stripes and those heels. I'm sorry for not paying all my attention to your outfit, but the background looks so amazing, haha!! Beaut! Love, love, love your blog and your style girl! You always look so amazing! I think you might like my jewelry. love those cases!! i'm always loosing or damaging my sunglasses, maybe this is a sign to finally get a case! i'm loving your outfit, that necklace pairs perfectly with the top! 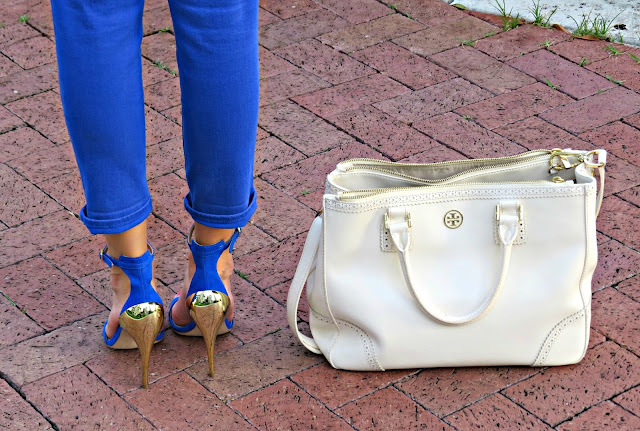 This outfit is completely adorable, and those shoes are perfect! !